With the “Valentine’s Day” approaching what’s up in your mind? 1) Who will be my Valentine? 3) How to make this day special? 4) What’s so special in a day…it’s just one more day? 5) Hey, it’s a kids thing…c’mon we are grown- ups now. 7) It’s a time to express your love to your love. 8) It’s a festival that needs to be celebrated religiously to show our respect to great St. Valentine. 9) It’s nothing more than a business now…lots of pomp & show- lights, dance, gifts, music.. This is not really what one needs to express love with. 10) Doesn’t matter at all… can run into celebration if time & circumstances permits & can sit peacefully at home if that’s the need of time? There can be several other options…several other opinions…several other views on how you look forward for “Valentine’s Day- The Special Day that falls on 14th of Feb. every year”. But, it somehow seems that the essence & purity of the day is fading somewhere in loud music & disco lights, in glittery gifts & sweet chocolates. True love does not wait for a particular day…true love does not have to search for valentine deliberately … true love does not needs a token of gift… true love is one that is felt & understood its own way. For school kids & college guys, it’s just fun…& for some elders it becomes a vulgar way of showing love..But actually, VALENTINE’S DAY was all about sacrifice for the sake of humanity & for the sake of justice. Now, it’s on us how to respect & how to celebrate this day, as it is not just an epitome of love for your sweetheart. In many countries a trend has started to communicate the feeling of love to a parent, a child, a sibling or a friend. Everyone needs to be loved, and often many relationships are taken for granted, but on Valentine’s Day each one can make an extra effort to express these emotions in a special way. So, in the end we are left with a puzzled answer- The day is one but meanings are different. It would be nice if you can share what it means to you? 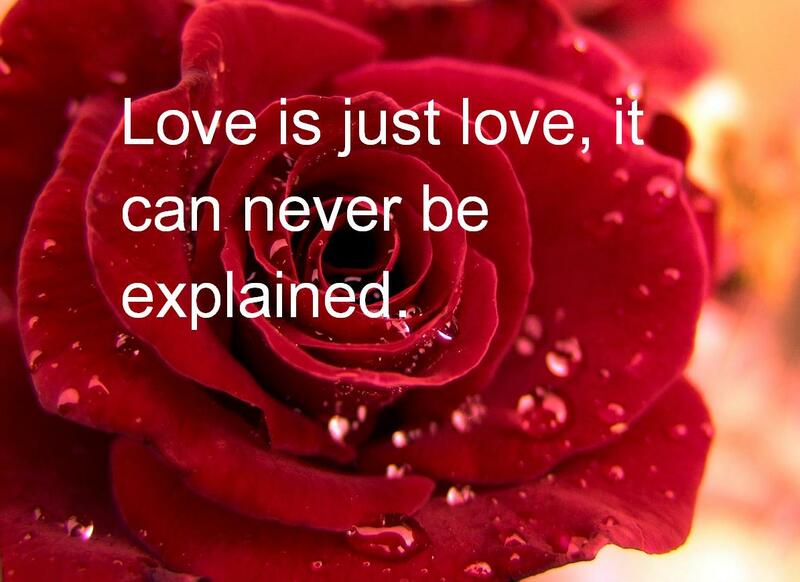 This entry was posted in Relationships and tagged family, feelings, friends, Heart, Hug, Life, love, personal, Promise, Relationship, Rose, Valentine, Valentine's Day by Akanksha. Bookmark the permalink. Everyday is Valentine’s Day for my boyfriend (another WP blogger here) and I. We spoil each other with creative things and sweet messages. Valentine’s Day will be just another day for us because on that day, we’ll be doing things to each other we already do any other day in expressing our love for each other. Great blog! Hey…thanks for sharing ur views… loved to know u ppl celebrate ur togetherness and not just a day… Wish u years of joy & togetherness…!! nice blog and you have nicely expressed your views. I think its not only the love towards our beloved part, but also towards the humanity and how we serve our purpose being here on this earth. It’s also essential to know whether do we remain the same or do we give equal justice by being honest throughout our lives. Its nice to get your opinion ..
Valentines day to me is not a big deal because I’m single with no real aspiration to change that in right now. Love is felt all year and expressed all year(or should be) but because of industry, advertisements, and this “its all about me, and my life” attitude that has been put into motion, those of us who are single or in “casual” relationships feel the pressured to conform to the mold that society has laid out for us. And then if you don’t do something, there’s a fit thrown! People have made the grave error of seeing an act of kindness, of love, as something they SHOULD get. They entitle themselves. Now I’m obligated to be nice cause if I’m not, I’m a cruel jerk! Isn’t being kind and loving the OPTION that makes love great? Because, I don’t HAVE to love you, but I DO. That should be enough and all else is a beautiful description OF that love, not a requirement. Simply crazy. I stay level headed and just vanish into angry doodling or reading a book on V day! It is easy to get pulled in to the commercialization of Valentine’s Day. I can’t blame the jewelry stores and florists for wanting to make a buck, but genuine sacrificial love rises above Hallmark cards and chocolates. Of course, my wife still expects a little token of my love and I won’t let her down. Hey…thanks for sharing your views..& ofcourse, celebrating the day & making it memorable by gifting a token of gift is a nice way to celebrate…only thing is while giving & receiving gifts…one should understand the love behind..
A rose petal given with love is more precious than a diamond given with burden & pressure.. & if there is true love this understanding comes on its own… Wish u & ur wife a wonderful time ahead…Enjoy…!!!!!!!! Very nice post! 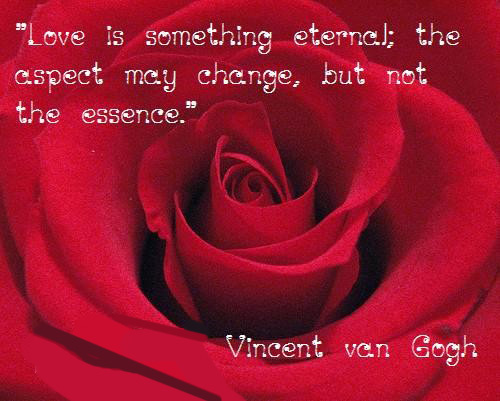 I had never really heard how Valentine’s Day originated, and it was interesting to learn from you about St. Valentine. Valentine’s Day to me is just a special day for expressing the same love that is there all year round. 1 Corinthians 13 expresses love so beautifully, and now I like to think that St. Valentine demonstrated that very kind of love. Thanx for your comments… and u have really framed it so well — “a special day for expressing the same love that is there all year round” 🙂 Wish u a happy time ahead..!! Valentine’s Day for me is a day where I say to people “Happy Thursday!”. I think birthdays, anniversaries and another occasions are far more special than Valentine’s Day. I look at Valentine’s Day as an opportunity to give love. Of course, I give to my husband and children, but I try to find ways to show love to as many people as I can. It’s something I want to do anytime of year but its good to have time to focus on it. Hey…its great to know you have caught the essence of the day… Its all about celebrating the day with your loved ones..& your opinion about it being a special day dedicated to “focus” on our near & dear ones is really a valid point. I absolutely love LOVE, but think that Valentine’s Day is too much pressure. When we recognize that our relationship with ourselves is the most important relationship we’ll ever have and we begin to treat ourselves with as much love and adoration as we’d like to receive from a partner, every day is Valentine’s Day. When we begin to cultivate more love for ourselves, more love floods our world. Give it a shot! Here’s to us all being our very own Valentine! So much Love and many blessings! Its a wonderful thought that you have shared here… “To be your own Valentine”. I absolutely hate it when all those commercials start bombarding us about Valentine’s Day. In fact, Valentine’s Day has been blown out of proportion by retailers in an effort to make more money. It has turned into a way to make people (sadly this means mostly men) feel huge amounts of guilt if they don’t spend tons of money and time to buy their loved one the “perfect” gift. Thanks for sharing your views.. & its lovely to know how you & your hubby keep looking for ways to fill your life with joys & love… 🙂 Wish you both a wonderful & joyful time ahead.. !! lovely to hear your thoughts on Valentine’s Day. Here in the UK, Valentines is maybe not quite as commercialised as in other parts of the world! For me, it is about taking a day to recognise my loved ones by giving a small gift, usually something handmade! It can also be a good excuse for chocolate for breakfast! 🙂 Happy Valentine’s Day to you! Hi…Its nice to know about UK celebrations…its really a nice idea of gifting something “handmade”… poured with all your lovely feelings 🙂 Wish u also a wonderful & happy V-Day ahead…!! A day of love!! !Sacrifice and compromise is another name of Love. But till what I feel, love need not be expressed only one day. It can be expressed anytime, anyhow and anywhere. The more simpler way we express our love, more sweet and amazing it feels. And yah..love can be for anyone. Valentines day is not only for couples but also for all singles too. Singles can express their love to their parents, friends, and the things they love. Couples express their love in different ways. But ‘Valentine day’ and ‘love’ of young generation is just another game. A game to play with feelings and cash. There are also couples where both love each other in true essence. For such couples, valentine day hardly matters. They do not need any one particular day to express love. Every day is valentines day for them. What today’s youth does is: try to impress him or her in some extra-ordinary way by spending loads of cash. Is this love? Accepting someone the way they are, is what love is!! !love is more of orders and rules today. but true love doesnt have any orders and rules. “WE” is the word normally used in LOVE. if I was told to celebrate valentine day with my guy (i dont know who he is!!!) i would just go on a drive with him or wear something which he likes or cook something of his choice. Simple but sweet!!!! If i feel like investing something for him, i may do that too… but no show off. just something simple. Valentine’s Day is all about family love for us. My husband and I are sweethearts, but we extend our celebration of love to our children and the rest of our families. It’s not just about a boy and a girl, it’s about everyone we love. 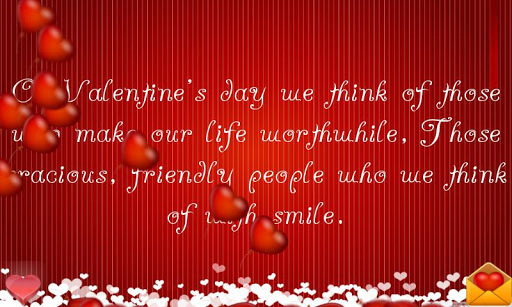 Hello Jennifer, Its nice to get your views..Wish you & your loved ones a Happy V-Day Ahead..!! Valentine is a time to express your feelings with gestures. Often times the words “I love you” seem over used, and it’s easy to take them for granted. However, on Valentine’s day, those words come to life and are seen in the gifts we present our loved ones. In my country Valentine’s is also celebrated with fanfare, and even though I’m celebrating alone this year, I know it’ll be fun just to watch and spend it with my friends and family. Happy Valentine’s day everyone! well valentine— a way to recognise & remind you, that love is actually all around us. I can feel it in my fingers & i am feeling it in my toes, love is all around me & the feeling keep on grows. I celebrate Valentine day because Love is not limited only to lovers but to every relation and every person. I feel the love continues not only today but every day of our lives. Because St. Valentine died for he loved the soldiers and showed it in his way. and because it goes out to you too for loving one and another and making this place a better place. May God bless you and your family. Love you and your sister. Take care, Anci. Thanks a lot for the wonderful gift 🙂 I am glad to receive this award…!! I think it’s important to love yourself too and to celebrate that. Hey..nicely written…even i do not believe in celebrating love on one single day as love is expressed in many ways and it can be any day. But it’s so commercialised that one tends to feel happy when they receive some gift on this day! !